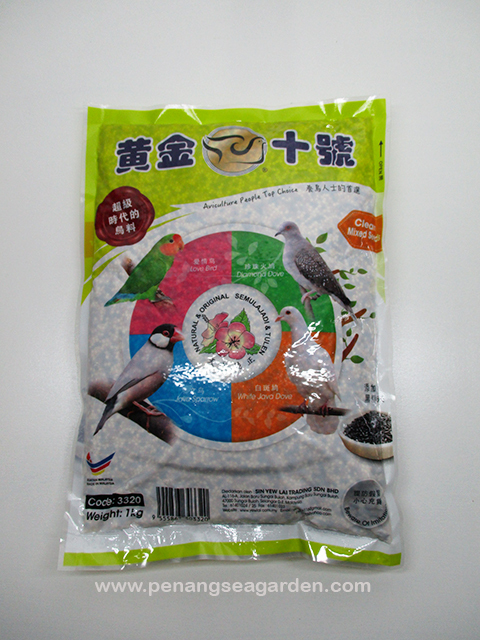 A well selected bird seeds which helps to nuture the health and beauty od birds. No artificial chemical used. Only natural ingredients applied. Helps to prevent stomach, throat, ears, and nose diseases in your pet birds. 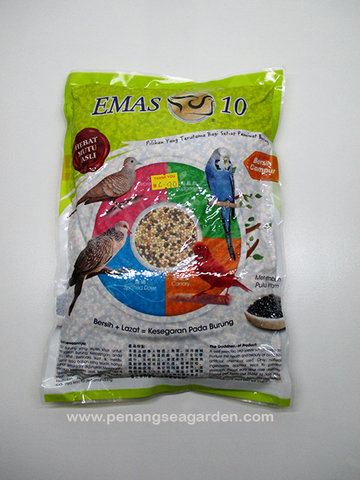 Use Emas 10 daily, your bird will grow healhty, beautiful, and sweet sounding. Try it, your bird will love it.